It may seem daunting to imagine yourself playing a harp. But it really isn’t such an impossible task. To ease you into that possibility, let me share some perspectives with you. Learning to play the harp is like painting by numbers. You will get there by the end of this article. When you think of a harp, the image in most people’s mind is the grand, gilded harp of the symphony orchestra. So it used to be. The popularity ofCeltic music, and relaxing harp music, now widely available in recorded form, is replacing that image with ones much closer to the real ancestors of this beautiful instrument. Harps and lyres shown on coins, carvings, inscriptions and manuscripts are of the smaller, common, garden-variety harp. The folk harp is part of virtually every culture. David soothed the anguished soul of King Saul in the Bible. The Bards of ancient Europeplayed the Celtic harp. They plucked and sang their storysongs in the castles of kings and nobles, and played for their supper in the village inn. The harp was played in ancient Egypt, Mesopotamia, Africa, Greece and Rome, too. Legend reports that Apollo made the first harp/lyre from the dry carcass of a tortoise with a string of sinew still stretched across it. 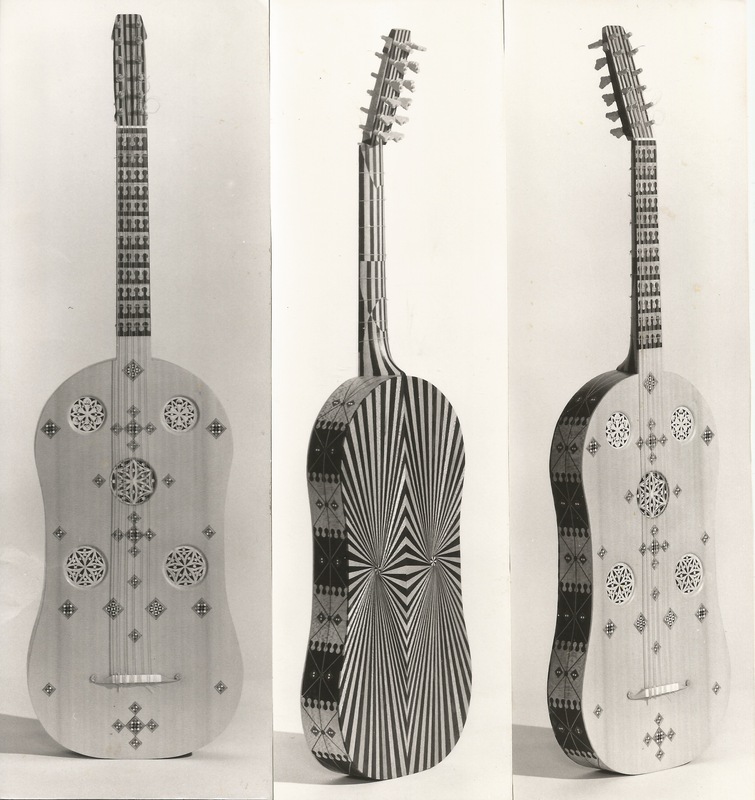 The guitar is named and descended from the Ancient Greek Kithara, a lyre. The lyre and the harp are brother and sister, the terms often used interchangeably. The difference between them is 90 degrees, the way the strings are placed relative to the sounding board. Today, because harps are being mass-produced abroad, more people have access to one (as with the guitar in the 1960’s). Locally manufacturedhandmade harps are also gaining in popularity, as more people take up playing the harp. Societies and festivals abound. The Kinder Lyre, often called the Kinder Harp, is our simplest, most basic harp. It is being played to and by countless children and adults alike—from before birth, through infancy and childhood—all the way through to the last breath. There are no “wrong” notes on the Kinder Lyre. All the notes of the scale harmonize, so when any two or more are played together, they always sound pleasing. It is tuned to a Pentatonic or 5-note scale (DEGABde), a scale used extensively in folk music from around the world. That scale has a very soothing and relaxing sound, a very “Oriental” sound. Many familiar folk songs are in this scale, like Old Lang’s Syne and Amazing Grace. The Kinder Lyre I build comes with a songbook called Familiar Pentatonic Songs, which includes these and many others you grew up with. The songbook also teaches how to read music—an easy entry into the sometimes scary world of a new language like music (if you are a total beginner). But you don’t even need to rely on the songbook or any lessons to call forth beautiful tones, from your first note. The Little Minstrel is a favorite with teachers, storytellers and older people who always wanted to play an instrument—but never could get around to it. Many people have told me they were drawn to the harp as a child, or they played piano as a child, but haven’t played an instrument since. The Little Minstrel is used in hospitals and schools around the country to help bring harmony into the lives of children and the elderly. This is really Harp Therapy at its most fundamental level, for both player and listener. And so to the Harp! In the early days of the “folk harp revival,” there were few teachers, so Sylvia Woods wrote a book called Teach Yourself to Play the Folk Harp. She offers good introductory material and a system of playing using numbers for fingers. You learn to read music step by step. And by the end of your first lesson you’ve already played five familiar songs!. Many of my harp customers are now playing harp in hospitals and hospice, and started out with these first steps. You can too!